'Terrain' 2016 - Single channel video created for the 'half-dome' immersive screen while attending the 'Morphos' residency, Fort Collins CO.
'REalm' 2016 - Interactive sculpture garden created within MineCraft Realms. 'Realm' was an interactive social sculpture, made utilizing a private server in 'MineCraft'. 'REalm' was created for the 'Monumental' Exhibition presented by RedLine Contemporary Art Center, curated by Marisa Lerer, with the intent that gallery visitors and online participants populate the game with their own virtual monuments. Pictured text by Amanda Flores. Installation view - BYOB Denver, RedLine Gallery August 2015. Two Chanel Video Installation. 4mins. Altered, appropriated internet surgical instructions videos, digital animation with sound. Digital animation, DVD 52 mins. Stop Motion video animation, appropriated Weather Cam images collected over 1 calendar year, digitally altered. 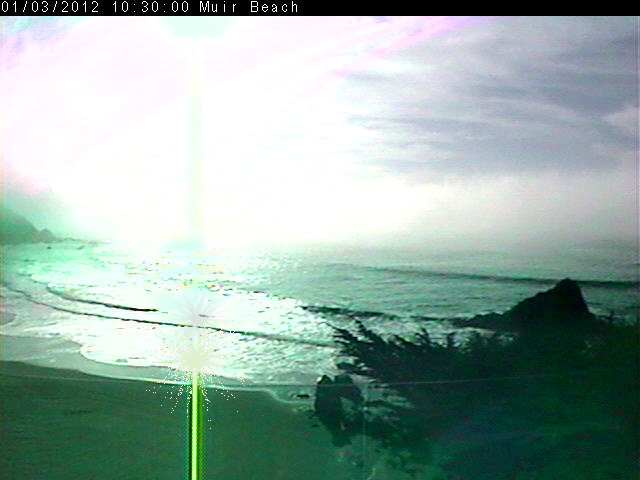 Images collected from a Web-Cam situated at Muir Beach, CA. Altered appropriated web-cam images of White Island - Whakaari, an Island Volcano located near the Eastern Bay of Plenty, New Zealand. Installation view, at Whakatane Art Gallery and Museum, 2009. Digital projection, altered appropriated web-cam images of White Island - Whakaari, an Island Volcano located near the Eastern Bay of Plenty, New Zealand.